Very Good. Blowback (Scot Harvath) by Thor, Brad, 2011-02-22. Mass market (rack) paperback. Glued binding. 655 p. Contains: Unspecified. Scot Harvath, 4. Good. Blowback (Scot Harvath) by Thor, Brad. Mass market (rack) paperback. Glued binding. 655 p. Contains: Unspecified. Scot Harvath, 4. Good. 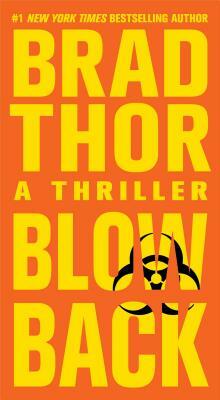 Blowback by Thor, Brad, 2006-09-18. Mass market (rack) paperback. Glued binding. 575 p.
One of the better books in the series. Really held my interest. Read it in two sittings as could not put it down. Good plot.